As with the Cavaliere della Morte class, Cacciatore di Demoni will be limited to one per server at launch. 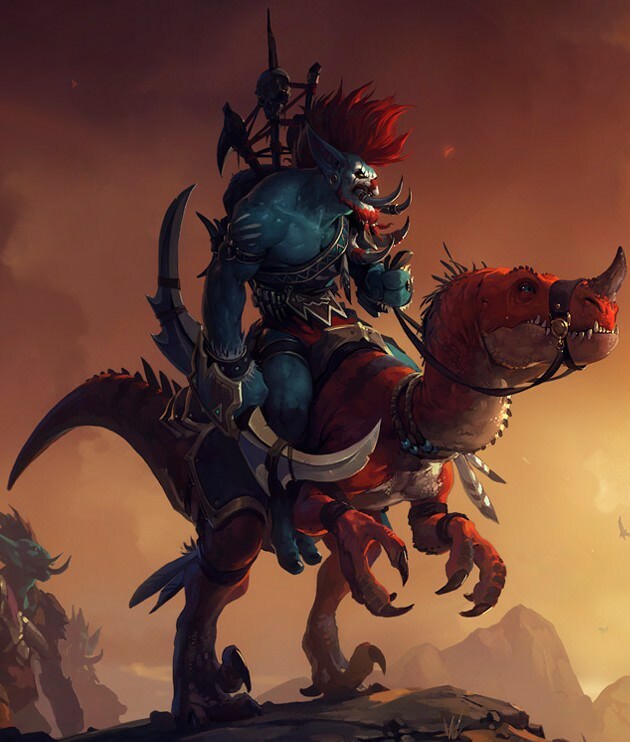 They may eventually have that restriction lifted, as Death Knights did, but that would be well into the future. 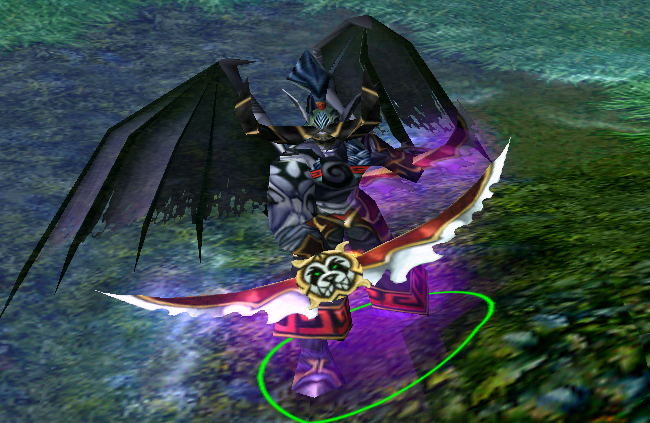 Also as with Cavaliere della Mortes, there is a requirement of having a character of a certain level before a Demon Hunter can be made on the account/server. This requirement is currently set at level 70. 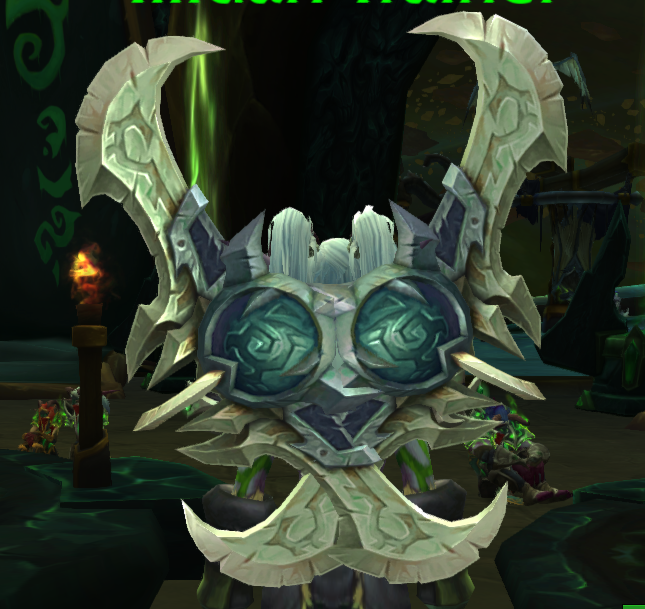 These playable Cacciatore di Demonis are the Illidari who players fought in Tempio Nero and were imprisoned after the fall of their leader, Illidan Grantempesta, Azeroth's first Demon Hunter..
Only the Elfo della Notte and Elfo del Sangue races can currently be Demon Hunters, since the playable Demon Hunters are those who were imprisoned after the assault on Tempio Nero. Cacciatore di Demonis begin with the title . Cacciatore di Demonis will be available for play before the expansion hits, if you've pre-ordered (a digital copy). 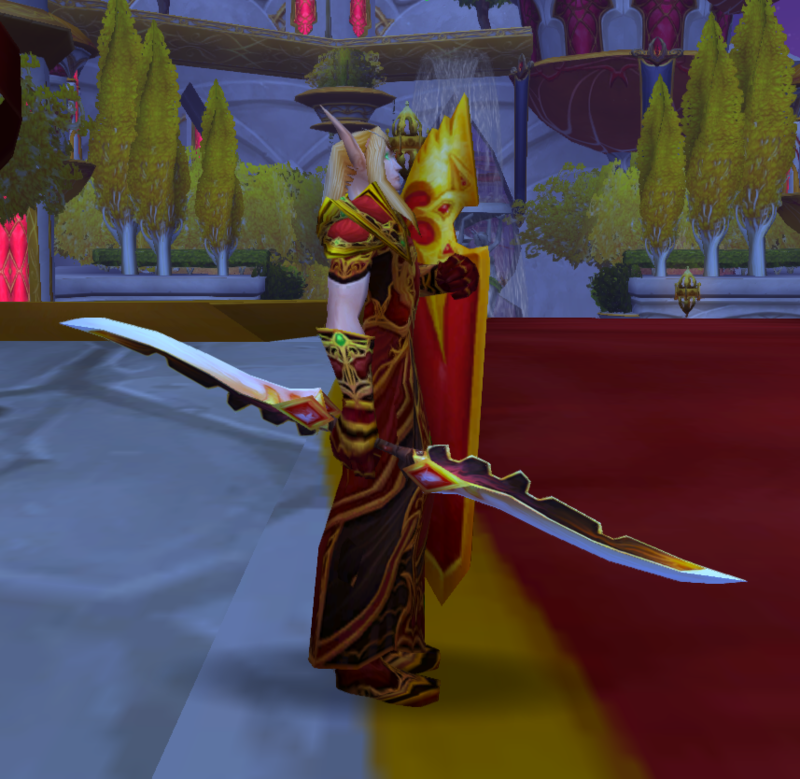 The starting gear sets are in more of a silver metal for Elfo della Notte race and more of a golden tone for Elfo del Sangue race, hence the linking of two pair of shoulders for each tier of starting armor. The Cacciatore di Demoni starting experience is a multi-pronged one. The first leg of it happens many years in the past, on Mardum, l'Abisso Spezzato, before/during the attack on Tempio Nero. The rest occurs after many years of imprisonment in the Segrete delle Custodi/Segrete delle Custodi. 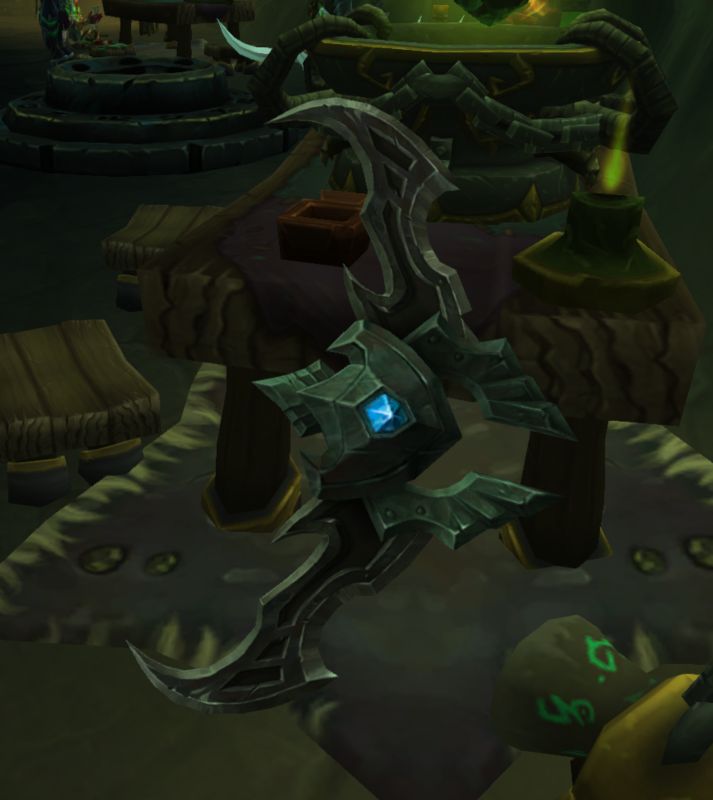 The Felsaber is obtained during the starting experience on Mardum, l'Abisso Spezzato. 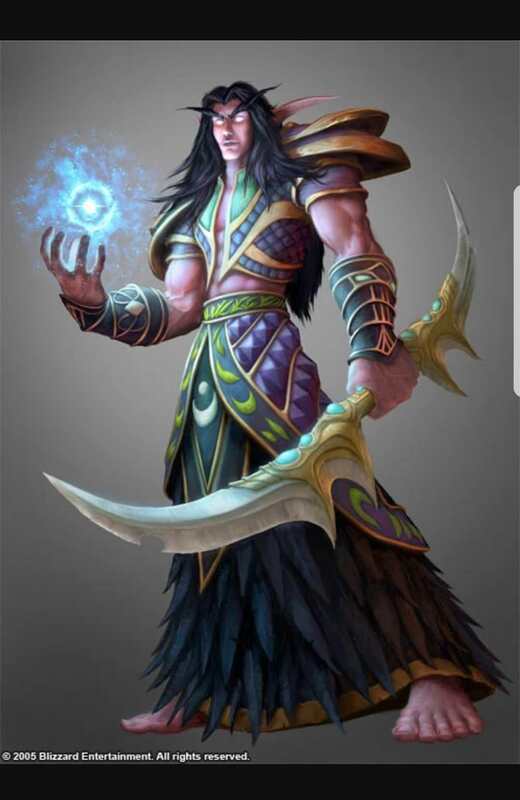 Demon Hunters can heal themselves with the Frammenti dell'Anima they rip from their enemies, either by running through or close to the Frammenti dell'Anima, as you would with a Monk's Healing orbs, or by using certain abilities. 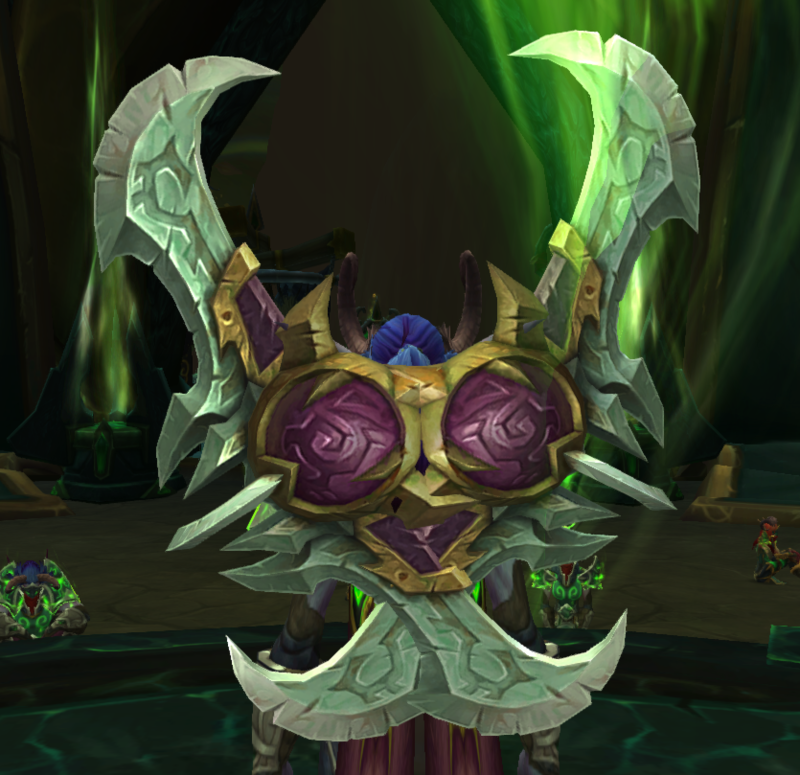 Demon Hunters use agility and, along with Ladros, Druidos, and Monacos, wear Cuoio armor. 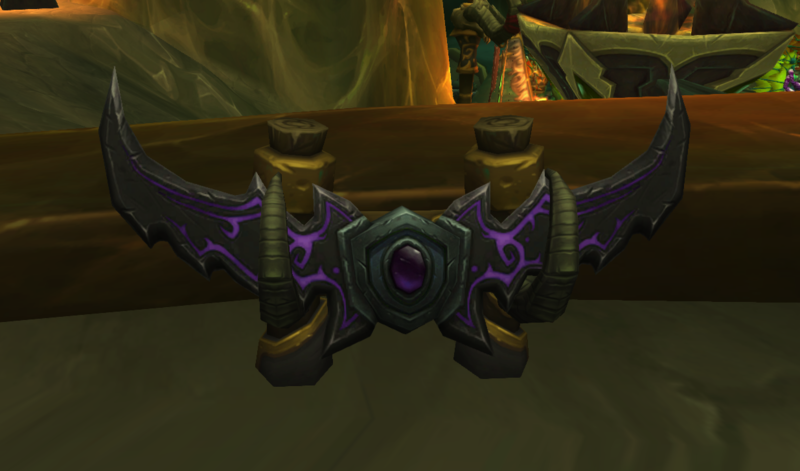 Demon Hunters can Salto Doppio allowing them to jump again while already in the air from the first jump, and they can Planata to spread their wings and reduce falling speed. 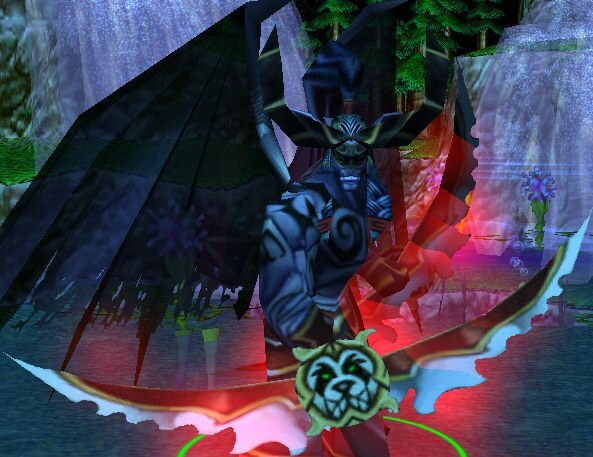 Whilst Demon Hunters can use a wide variety of weapon types, Lame da Guerra can only be Transmogrified into Lame da Guerra, Spade a una mano, and Asce a una mano. Havoc – (Lame Gemelle dell'Ingannatore/Lame Gemelle dell'Ingannatore)- "These glaives of immense power cut through all that would stand in the Demon Hunter’s way." 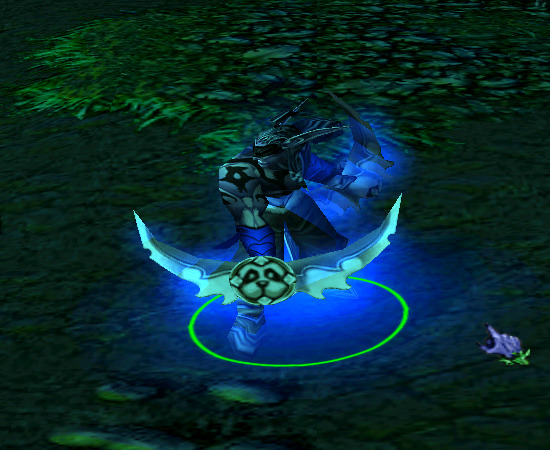 The Hidden Artifact Weapon Skin for Havoc is Maschera del Calcamorte from Caduta. 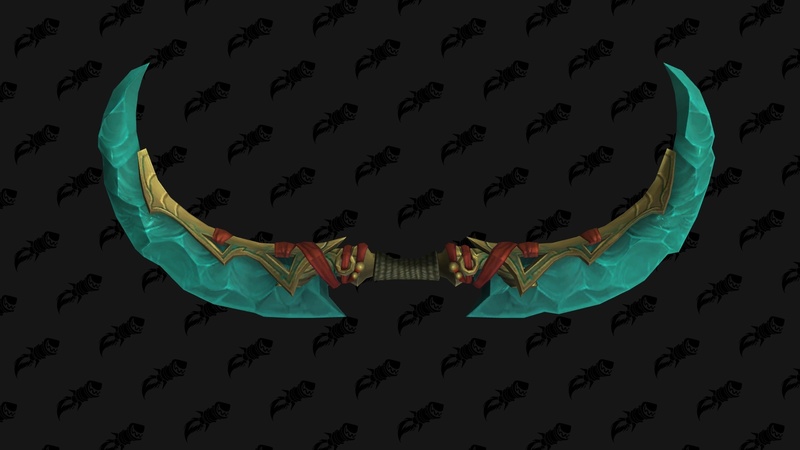 The Challenging Artifact Weapon Skin for Havoc is Flamereaper, obtained from Chiudere l'occhio from the Mage Tower on the Riva Dispersa. Vengeance –Aldrachi Warblades (Lame da Guerra degli Aldrachi/Lame da Guerra degli Aldrachi) - "Infused with the might and incredible resilience of a lost people." 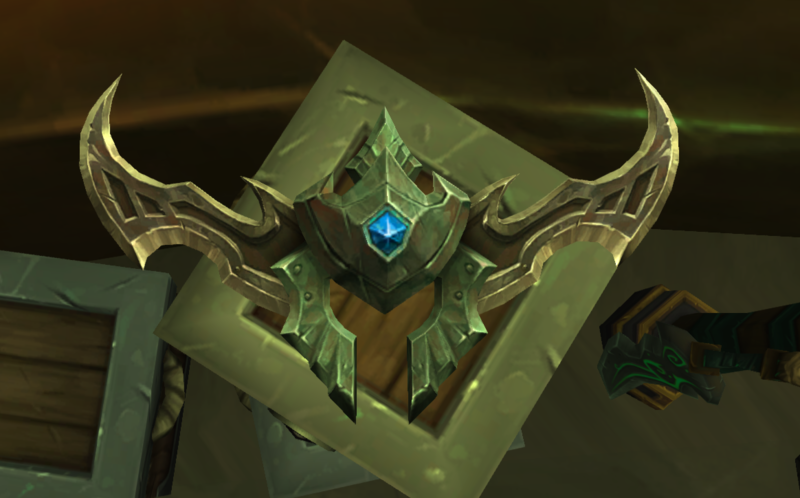 The Hidden Artifact Weapon Skin for Vengeance is Baluardo della Custode di Ferro from the bosses found in the area unlocked by Distorsione Fatua. 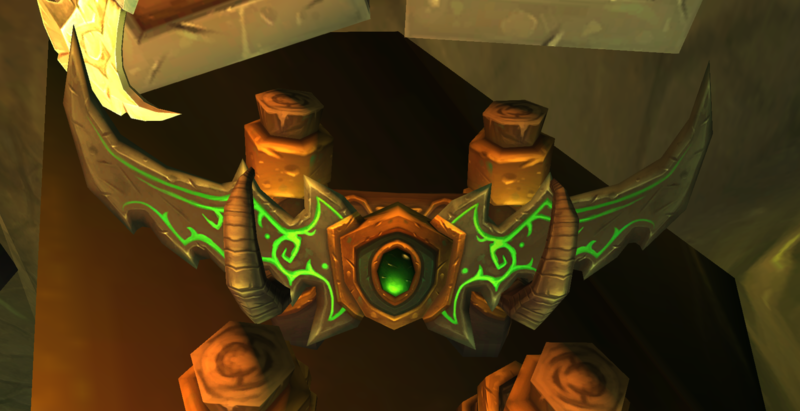 The Challenging Artifact Weapon Skin for Vengeance is Umberwing, obtained from Il ritorno del Gran Signore from the Mage Tower on the Riva Dispersa. While Lame da Guerra can be Transmogrified into Lame da Guerra, Spade a una mano, and Asce a una mano, you might only be interested in Lame da Guerra transmogrification options. - simple silver metal practice glaive style, wielded by Gregario della Fortezza Cenariana, Perlustratore Cenariano, Cacciatore Supplicante di Demoni, etc. Red and red Version of Lama del Caduto (recolor of Lame da Guerra degli Illidari without glowing bits), wielded by Belath Lamachiara, Cerbero Illidari / Cerbero Illidaris, Veterano Illidaris, etc. Blue and blue version of Lama del Caduto, wielded by Izal Lunabianca, Kyra Lamalucente, etc. Purple and Gold version of Lama del Caduto, wielded by Altruis il Sofferente, Jace Tessiombra, Ariana Fiammacuori, etc. 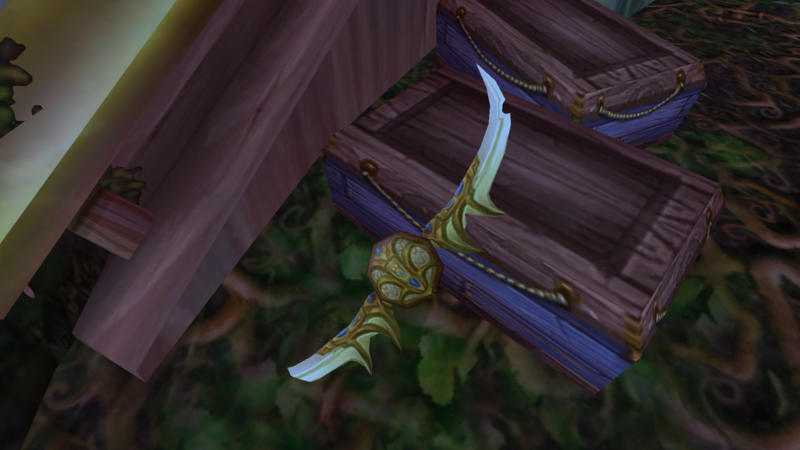 and the red glaives used by some Illidari and by Illidan Grantempesta in Pozzo dell'Eternità would be nice additions. I'm gonna play this class purely so that I can finally have a Vincolo Fatuo. 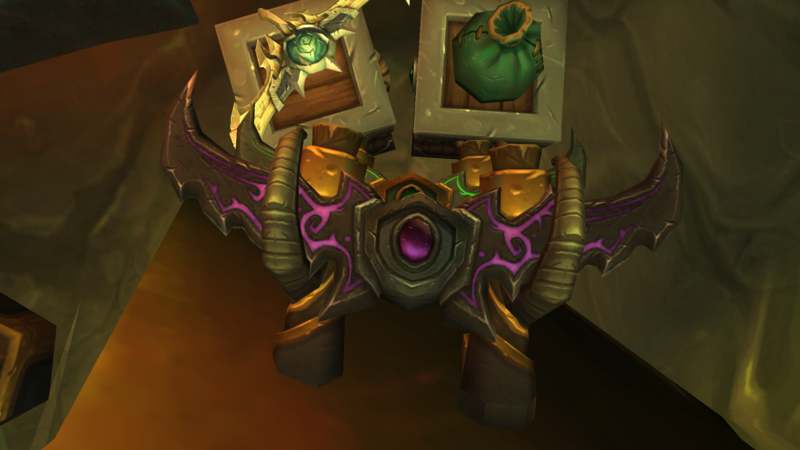 Cacciatore di Demoni class hall campaign quests is under the text, it's long and interesting chain.